Farmer, implement dealer, realtor, insurance agent, MLA (1888-1892), MLA (1892-1895), MLA (1896-1899). Born in Waterloo County, Ontario on 2 January 1852, son of David and Barbara J. Winkler, brother of Valentine Winkler, he came to Winnipeg in 1874 then, the following year, settled in Emerson and later moved to Gretna. He was the first Reeve of the Rural Municipality of Rhineland and later served as Mayor of Gretna from 1898 to 1899 and again in 1901. 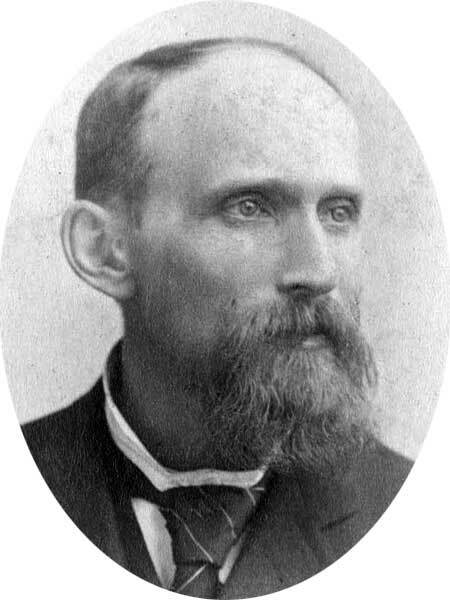 Elected to the Manitoba Legislature for the Rosenfeldt constituency in the 1888 general election, he was re-elected in 1892 and 1896 but defeated in 1899. On 10 January 1878, he married Helen Stewart (1858-1937). They had eight children: Margaret Helen Winkler (1879-?, wife of Harry Robertson), Barbara Louisa Winkler (1881-1958, wife of Egerton W. Marlatt), Dr. David Victor Stewart Winkler (1883-? ), Esther Mary Winkler (1886-? ), Gordon Enoch Winkler (1888-? ), Harold Lang Winkler (1894-1956), Irene Isabel Winkler (1896-?, wife of Nelson Young), and Alice Winkler (?-?). Around 1908 he moved with his wife to California, spending 18 months there before returning to live in Winnipeg. He died at his residence, 587 Wellington Crescent, on 1 November 1928 and was buried in the Elmwood Cemetery. “Enoch Winkler dies after long illness,” Manitoba Free Press, 2 November 1928, page 1. We thank Robert Potter for additional information used here.